Robert Mueller’s predecessors investigated Watergate, Iran-contra and Bill Clinton. Here's what recent those examples can teach us. And what that means for our present political moment. On Sept. 8, 1974, President Gerald R. Ford pardoned former President Richard M. Nixon over his role in the Watergate scandal. Reporters were stunned. This week, history did not just repeat itself, it climbed out of the dustbin and returned in the flesh. 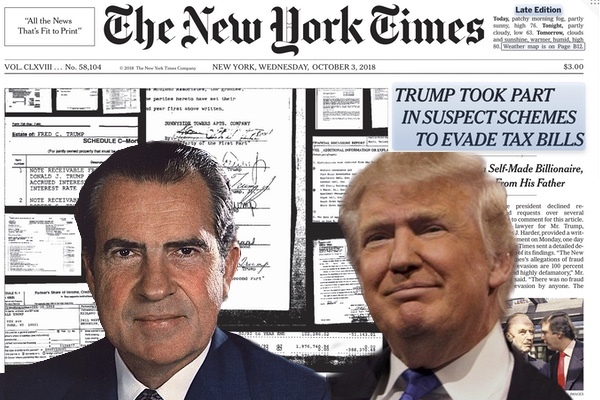 If Richard Nixon were alive today, he probably would not agree that "President Trump is facing a test to his presidency unlike any faced by a modern American leader."